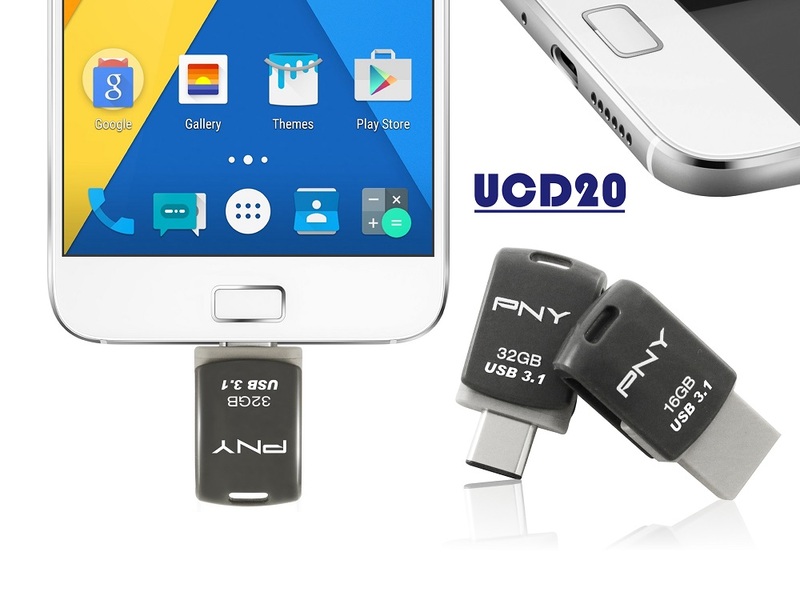 PNY Technologies (PNY) considered one of the worldwide leaders in consumer electronics market and flash memory products, has launched the Type-C OTG UCD10 and UCD20 featuring dual connectors that works with both standard USB Type-A and Type-C ports to give users easy access to the latest USB interface. USB Type-C is an up and coming reversible connector standard that allows for slimmer and sleeker devices in the future. It enables a single port to function as a point for data transfer and video output. 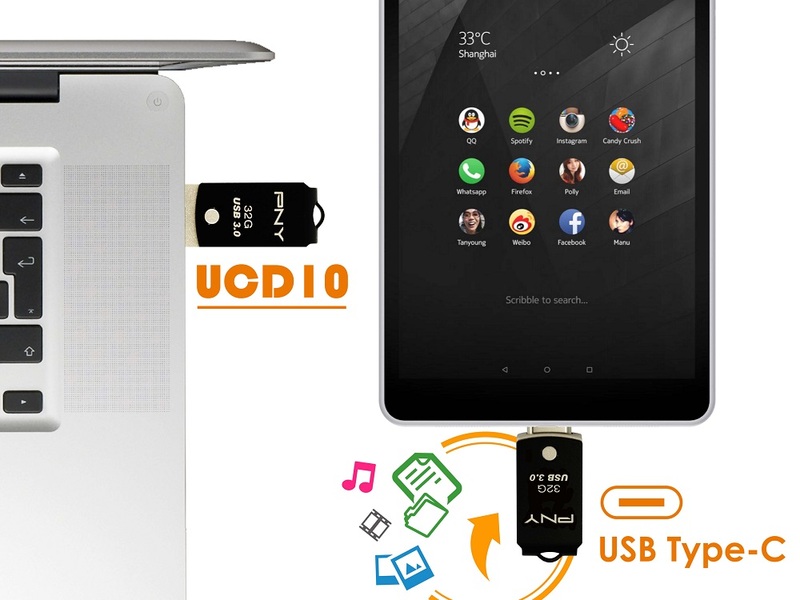 The UCD10 and UCD20 is an ideal way to provide up to 64GB of extra storage for the very latest smartphones, tablets and Mac computers while also working with current generation devices. Equipped with SuperSpeed USB 3.1 / Generation 1, the UCD20 offers lightning speed performance with read speeds up to 120MB/s and write speeds up to 20MB/s. The lightweight and small-form factor OTG drive complements portable devices and is easily transportable. The UCD10 is built in a metallic body with high-quality steel and is executed with a smooth and sturdy finish. The UCD20 comes in a tough and light plastic outer covering. Small and compact, both the drives can easily fit into the pocket or be strapped to wallets or key chains, thanks to the functional strap hole at the end of the drives. They feature 360 degrees’ swivel cap, which avoid the use of traditional lids or caps and equally protects the USB port from any external damage. The Type-C connector is a reversible plug that fits all current Type-C equipped USB devices and functions even if you plug it in upside down. The UCD10 3.0 weighs 5.12g and the UCD20 weighs at a mere 3.1g. It is perfect for adding more storage to Type-C ready tablets, PCs, slim notebooks, iPhones and is the ideal back up storage for all your Type-C mobile devices. The UCD10 and UCD20 will be available in 16GB to 64GB capacities. It is backed by a five-year warranty, free technical support and assured PNY reliability.